Xpert’s reliable mallet with a soft touch! 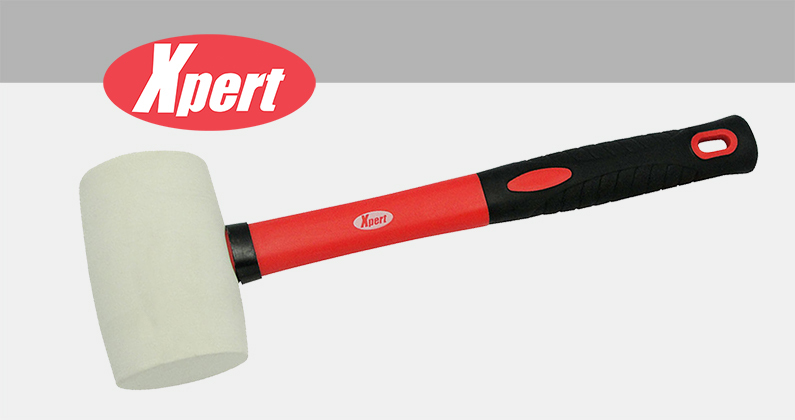 Continuing in our mission to support double glaziers and installers with quality essential tools they can rely on every day to do the job properly and turn out great results, Xpert is pleased to introduced their new 16oz rubber mallet. This soft-striking tool is perfect when some carefully-applied extra clout is needed for a wide range of glazing tasks including attaching top caps to conservatory roofs or gently knocking window frames into position. The white rubber head helps to dampen the impact, thereby reducing the risk of marking or breaking brittle, fragile materials like plastic. The durable non-slip fibreglass handle ensures the mallet can be wielded again and again with a firm grip and complete control. The Xpert 16oz mallet is distributed exclusively by leading fenestration hardware provider, Window Ware, and sold through trade counters and retailers across the country. Click here to find your nearest Xpert stockist or email sales@xperttools.co.uk if you’re interested in selling the mallet.